Process cookies in food processor until crumbed. (You can also use a rolling pin and Ziploc bag filled with cookies). Mix crumbs, sugar and butter. Press mixture firmly and evenly against bottom and side of 9-inch pie pan. In a large mixing bowl, mix the cream cheese, confectioners' sugar and peanut butter together until smooth. Fold in ½ of the whipped topping. Spoon the mixture into the chocolate cookie crust. Place the remaining whipped topping over the top of the peanut butter mixture and garnish with the crumbled peanut butter cups, caramel and chocolate sauce. 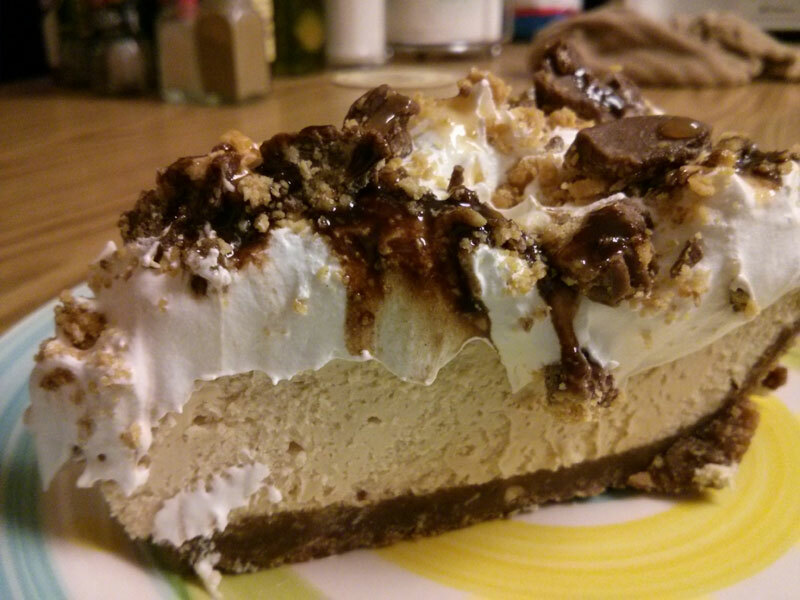 This is very, very rich, so one pie will go a long way. Cut the pie into 16 slices and your guests will love you! 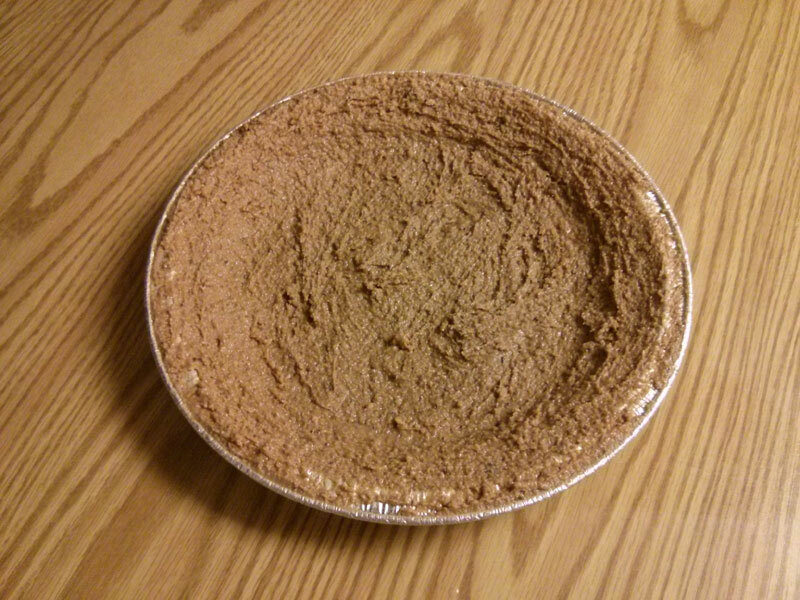 You can also use a pre-made pie crust if you do not want to make your own. 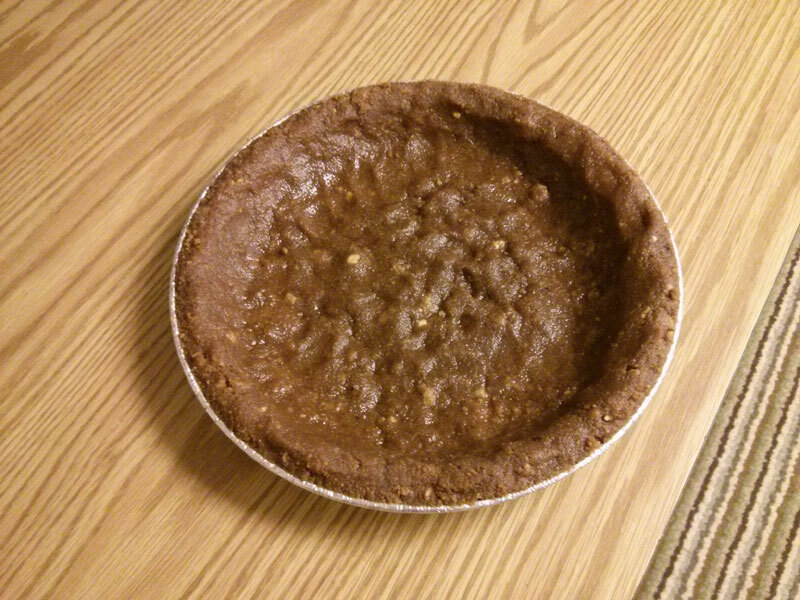 Keebler makes a good chocolate ready crust. 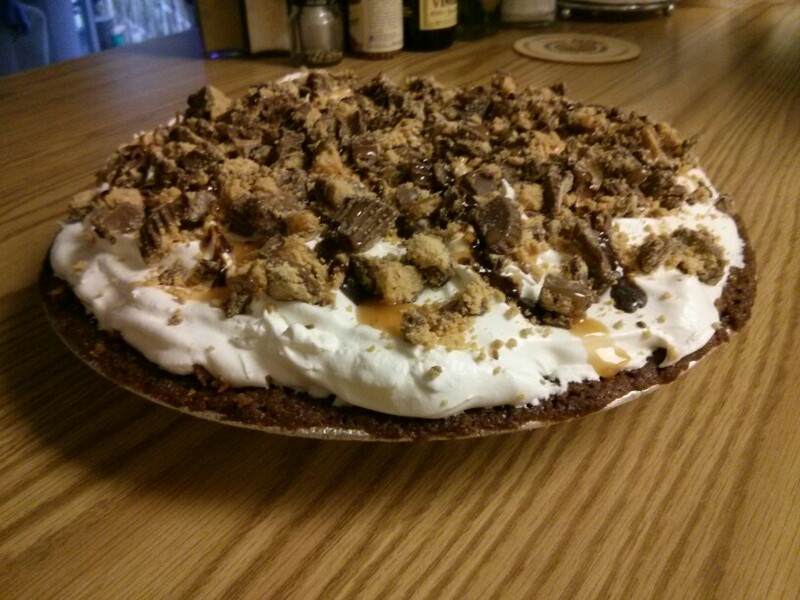 Filed Under Desserts | Tagged caramel, chocolate, chocolate cookies, cream cheese, peanut butter cups, whipped cream. Bookmark the permalink.